It’s Valentine’s Day weekend and we are sure you are going to LOVE these great Birmingham events! Take it from us, you don’t have to go all out with expensive gifts when you can spend some great quality time together! These events also make for great Galentine’s Day fun for those of you hanging out with your besties! Enjoy! Celebrate Valentine’s Day in style by watching the classic “Casablanca” at the Alabama Theatre! There will be a sing-along with the Mighty Wurlitzer at 7 p.m., with the feature immediately following. As usual, they will offer a specialty cocktail whipped up just for Valentine’s Day along with the usual selection of wine, beer, cocktails and Coca-Cola products. If you love watching home shows on TLC or cooking shows on Food Network, then this three day expo is for you! The BJCC will be packed with vendors showing of the latest trends in home renovation. There will also be plenty of guest stars speaking on a variety of topics including food! You’ll be sure to find plenty of things to keep you busy for hours on end. Tickets are just $11, so don’t miss out! TOUR DE LOO: during the Third Friday events, the Forest Park merchants' loos are transformed into art installations by local artists. A $300 prize sponsored by Will Brook will be won by the best installation artist. There are all forms of social dance in every corner of the world and Artplay wants to show you just a few of them. Grab a friend and join in at the ArtPlay house for a fun night of dancing. Each night will have one hour of lessons and one hour of free dance. Social Dance Nights are every 3rd Friday of the month. This month’s dance theme is Salsa! Spots are limited! To reserve your spot or for more information, please call 205-975-4769. Gain insight into the works you're about to hear by joining in at 6:15pm for Concert Comments in the Reynolds-Kirschbaum Recital Hall FREE before the show! The 2019 Bunting Biennial Ceramics Weekend takes place on February 15 and 16, and offers a fresh format that puts an emphasis on creating. The weekend kicks off with an Artist Talk by New York-based ceramicist Joan Bankemper. Transforming traditional tableware into whimsical vessels, Bankemper creates her sculptures using hundreds of ceramics from collected molds. Stay after the talk for cocktails, hors d’oeuvres, and some time to explore the ceramics collection in the galleries. Saturday brings a day filled with art making, offering pop-up maker stations where visitors can create sculptures and mosaics. Tours of the ceramics collection will take place throughout the day, and a potter will demonstrate his throwing techniques on a pottery wheel. Museum Studio School attendees will have the special opportunity to take part in a Master Class led by Joan Bankemper. 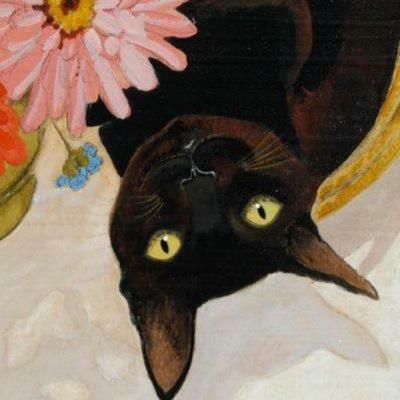 “Boss of Me” An art show all about CATS opens this weekend! After the Friday night reception (part of Third Friday in Forest Park) there will be a “Caffeine and Sugar High Reception.” Join in for coffee and sweets as you check out this art that’s pretty pawsome! Part of the sales will benefit Kitty Kat Haven and Rescue! Click here for more info. On Saturday, Birmingham Committee for Truth and Reconciliation (BCTR) will host a day of engaged community dialogue in her honor and an evening, entitled “A Conversation with Angela Davis” to honor our native daughter. This will be an occasion to educate the Birmingham community on her beautiful, courageous story and expansive work as an activist and scholar. Tickets are first come first served, so get them fast! Looking for a better way to celebrate Valentine's Day? 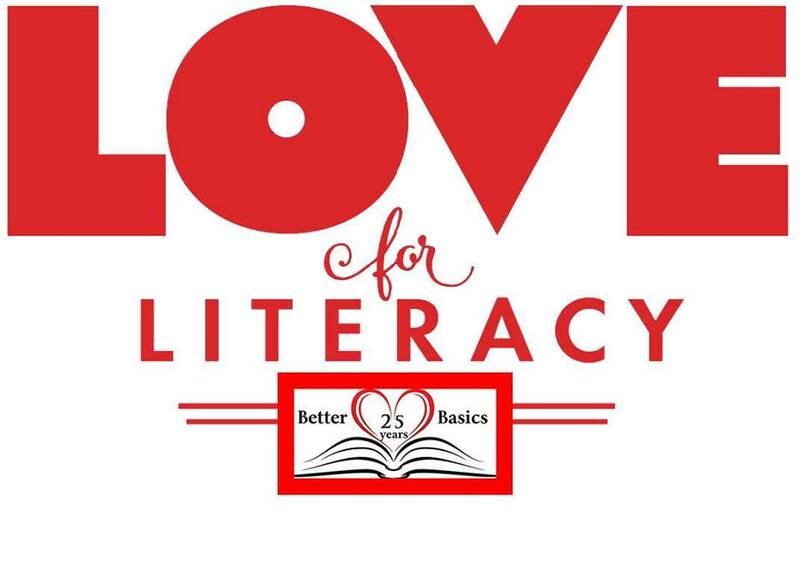 Join Better Basics in celebrating 25 years of service at the 5th annual Love for Literacy gala. The evening will include live entertainment, a night of dancing, and a fantastic silent auction. As Better Basic’s premier fundraising event, Love for Literacy supports all ten educational programs within Better Basics, enabling Better Basics to continue making a positive difference in the lives of children and their families by advancing reading and mathematical literacy through enrichment and intervention programs. Come enjoy a night of great music at Brennan’s in Five Points South! This is a family friendly event! The house band plays from 6-7 and the jam session starts 7 and goes until 9pm. This is a great way to wind down from a busy weekend! Oh, and be sure to enjoy some of their delicious food!